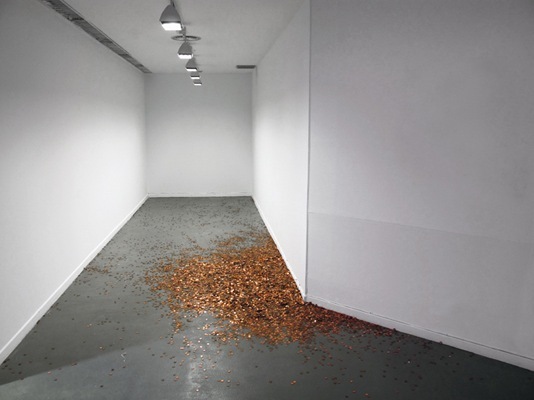 Transacción (2010) by David F. Mutiloa, Alvaro Icaza, Gloria Fernandez and Joaquín Reyes: The money from a government grant in one cent coins, offered back to the public. Via Piet Mondriaan. 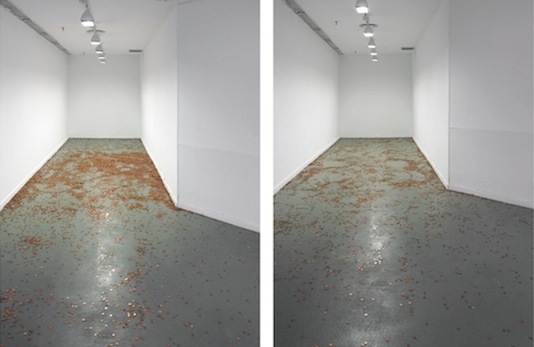 ALSO: $100,000 in prize money tacked “vertically” to the wall in one-dollar bills, by Hans-Peter Feldmann.